This is the third installment of my Behind The Keys series and I’ve got to tell you, there are tons and tons of talented producers out there. I’m beginning to notice a pattern forming in this series. When I look into these producer’s lives, they all have a similar trait. They embrace their passion for creating masterpieces and weren’t afraid to do something with their talent. With that said, picking who to feature is always a challenge, but when I came across Ebony Oshunrinde, known musically as WondaGurl, I knew she was next. Before I found out who produced Crown, it sounded like a natural fit for Jay Z’s Magna Carta Holy Grail. After finding out it was produced by WondaGurl made me realize how special it is upon a more detailed listen. It has that “I’m coming for the top” vibe that matches the tone of the album. The bass in this beat will shake the brains out of your skull, it’s a really well put together instrumental. I know that Travi$ Scott made a few minor tweaks to the beat, but you can tell WondaGurl is an amazing producer with a bright feature. I’m glad to have discovered such a young producer with amazing talent. I’ve only heard a handful of other tracks produced by her and they all sound amazing. Her other credits include Ryan Leslie, Rich Kidd, and SZA to name a few. I’m looking forward to seeing what WondaGurl has in store for us in the near feature. Hopefully we see some more big name collaborations and banging beats to vibe out to. 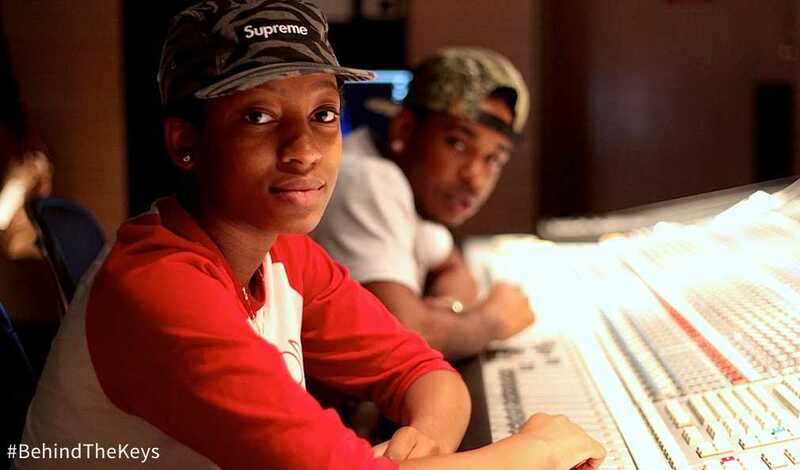 WondaGurl keep doing your thing, you’re an amazing producer with a long career ahead of you. If you have any suggestions for who I should feature next on Behind The Keys let me know! ZEPS has been featured throughout our site more than any other artist for a good reason; he’s talented, passionate, and an all around cool dude! Well now he’s back with a new single and video, Peanut Butter Jelly, off an upcoming release! Check out his awesome new single in anticipation of some exciting ZEPS news.